voices, visions. More specifically, we will approach the voice and movement connection from two linked perspectives: the experience of sound as vibration, and how this can be perceived as a tactile input from the body; the practice of synesthetic perception as a unifying process of voice, mind and body, that we can tap in as a source for spontaneous imagery in improvised performance. Each day we start with a physical warm-up to raise the body awareness through bio-energetic work, yoga of breath and somatic explorations. Next to this we look at anatomical images to understand the interaction between the organs involved in the voice & movement system: psoas and diaphragm, lungs, larynx, pharynx and sound resonators. We use as well ‛hands-on’ and ‛voice-on’ partner work (diaphragm massage, spine toning) to experience the connection between sound and touch and integrate the anatomical information in an experiential way. From this state of soft embodiment, we look at elements of Phonetics to explore the mechanics of vowels and consonants production, tuning in with the dance of the articulators (tongue, lips, teeth, palate) that happens all the time in our speech. Going back to this micro level of coordination, one can access the endless possibilities of pulsation, sound texture and melody, and organize them through collective instant compositions. Once we are aware of these fine levels of the body/voice connection, I will invite you to move one to a more intuitive and open level of improvisation. About synesthesia: a synesthetic experience happens every time an input gathered through one organ of perception triggers a sensorial impression in a different sense (i.e. hearing a sound produces a visual experience of a color or a shape). Young babies sense the world around them in a synesthetic mode most of the time, and while growing up we dismiss this innate ability in favor of a more linear, socially conformed way of perceiving. We will practice opening up the possibilities of perception through different tasks (eye/ear sense deprivation, surrealist-dada games, graphic voice response, Authentic Movement, Authentic Toning), finding your own flow in this augmented sensorial world. The synesthetic experience will invite us to shift into right brain functioning and intuitive choice making. At the end of each session we take time to practice improvised performance in different configurations, allowing inner impulses to manifest and articulate in the space, and to exchange verbal feedback in a supportive way, trusting our personal process and sense of pleasure as guidance in performance. Overall, the work will unfold in the measure of the group's ability to create a safe, empathic space of exploration, and of our availability to see-hear the special gift that each vocal body in the room is. >> Alessio Castellacci is a performer, teacher and sound composer based in Berlin. He has studied Developmental Psychology (BA at La Sapienza University - Italy) and Choreography (BA at Dance Maker/Artez – the Netherlands). 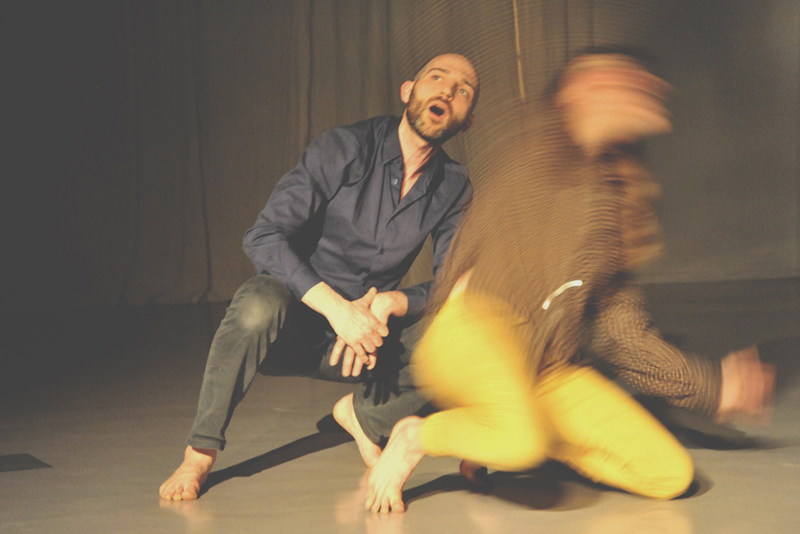 After finishing his studies at the Artez in 2005, he has been drawn to explore the expressive possibilities of the human voice, and has since developed a pedagogical approach for voice & movement improvisation. Seminal experiences in his understanding of the voice-movement-mind integration have been his studies with the extended vocal techniques pioneer Meredith Monk, with Vocal Dance originator Patricia Bardi, with ethnomusicologist Mark Van Tongeren´s Paraphony overtone singing choir, and the ongoing study with voice healer Amit Carmeli. After relocating in Berlin in 2007, he has collaborated with several artists as a dancer, vocal coach and sound composer, a.o. Maria F. Scaroni, Dani Brown & Marta Navaridas, Morgan Nardi/Ludica, Piccoli Production, Eszter Gal, Jeremy Wade, Sasha Waltz Kinder Tanz Company/Gabriel Galindez Cruz, Tino Sehgal, Kareth Schaffer, Zwoisy Mears Clarke. As a sound composer, Alessio has collaborated with choreographers Hyoung Min Kim (Berlin), for whom he has created and performed live music for four pieces ("Call Back" - 2007, "MoD" - 2009, "Guest" - 2010, "Ghost" - 2011) and Ru Chen (Berlin/Taiwan) for whom he has composed music for the shows "Hell´s Groove" (2014) and "A blue state of mind" (to be premiered in 2017 in Taipei) as a commission from the Cloud Gate2 Company/Taiwan. In 2014 he has been invited by director Peter Pleyer to take part as improvising musician in the project "Visible Undercurrents" which gathered in its kick-off event Eva Kargzac, Sasha Waltz, Meg Stuart, Yoshiko Chuma, Jeremy Wade, Mark Thompkins to perform with a cast of four dancers. Alessio is part of the ambient music duo Morphield with composer Christian Grothe, and produces in his spare time downtempo electronica under the moniker Gaia Waves. 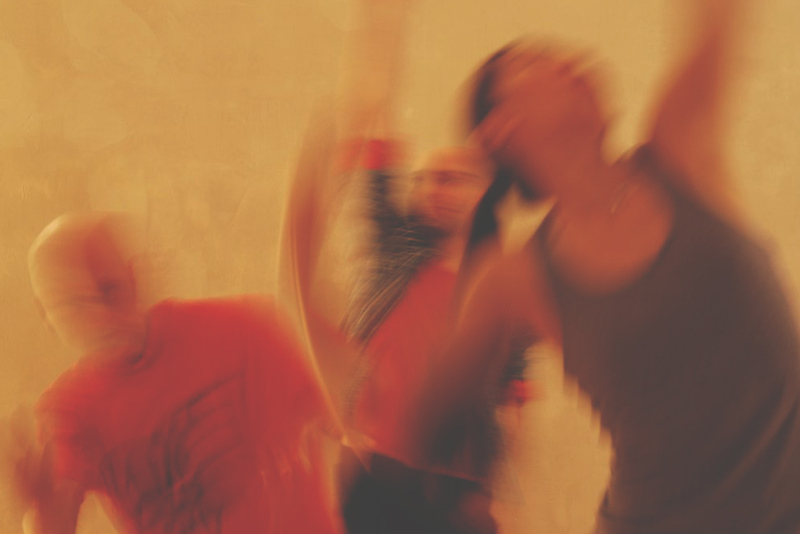 Alessio has taught movement research, choreographic techniques and voice & movement improvisation in different venues and festivals in Europe, a.o. Tanzhaus Zurich, Improspeckje Festival Zagreb, Altart Praha, Wasp Bucharest, Ials Rome, Kontakt Festival Budapest, Tanzfabrik Berlin, SMASH Berlin, Dans Centrum Syd Malmö, Proda Oslo, Skolen for Samtidsdans Oslo, Dance Atelier Reykjavik, K3 Hamburg, Hzt Berlin. From 2012 to 2017 he has curated the educational platform SMASH, which has now developed into the new study program ROAR BERLIN. In December 2017 he initiated with choreographer Jule Flierl From Breath to Matter, a performance series hosted by Kunst Haus Kule Berlin in which different artists are invited to share work around the topic of vocal dance and the political implications of voicing.